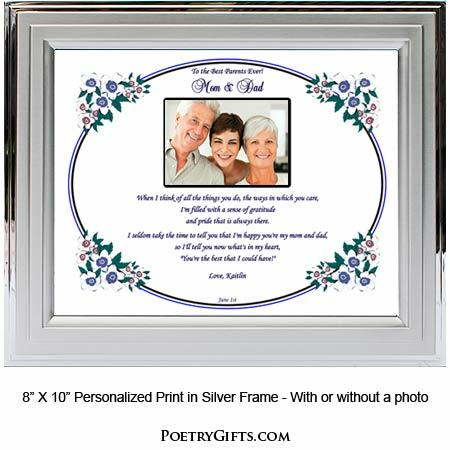 Parents are special and this personalized gift will tell your mom and dad how much they mean to you. 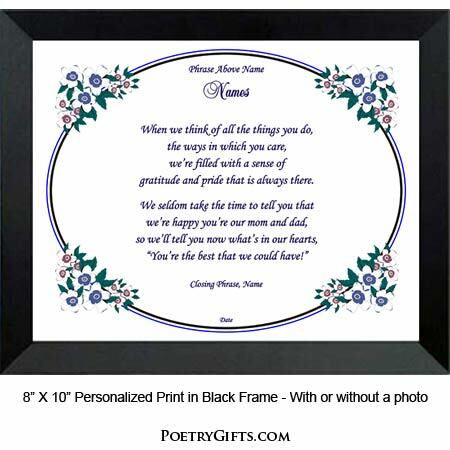 Whether it's for your parent's anniversary or you're getting married or as a sincere "thank you" as you graduate from college, this simple but sincere poem will touch any parent's heart. 3. 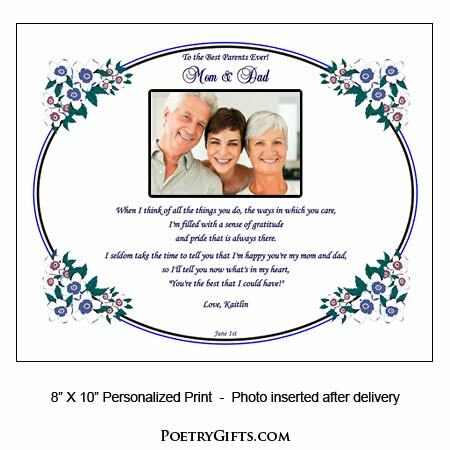 Closing Phrase and Name (as seen after poem) - Examples: Love, Alison; Love You, Mark & Beth; etc." 4. Optional Special Occasion Date - (Examples: October 2nd; Mary & Alex's Wedding Day - November 1st)"